Body Armor sports drinks are advertised as providing natural hydration and electrolytes for athletes. While it is true that they can replenish some of the important nutrients that get lost when you’re running all over the field or training for your next 5K, caution is in order. Some Body Armor drinks contain a significant amount of sugar; in fact, pure cane sugar is often the second ingredient listed on the label. They also contain citric acid. The sugar and the acid together can cause serious damage to tooth enamel. An average 20-oz serving of Gatorade can have dozens of grams of sugar, which makes it even worse for teeth than Body Armor. It’s also flavored with citric acid and other substances that can damage teeth. Coconut water has been called “nature’s sports drink.” It contains potassium and sodium, which help to regulate fluid balance in the body. It’s also not very acidic, which makes it better for teeth than many other sweet beverages. However, it does contain a lot of natural sugars. Moreover, many commercial brands add even more sugar to coconut water. If you choose to consume it, pick a variety that has no added sugars or flavors. Drinks like Monster, Rock Star, and Red Bull are packed full of sugar. Even if you choose a sugar-free variety, you’re still exposing your teeth to the acid that is present in all carbonated drinks. Regularly consuming such drinks, especially if you sip them over time and don’t rinse your mouth with water, can drastically weaken tooth enamel and lead to decay. Drink plenty of pain water. Consume fruits and veggies, which contain natural electrolytes (if you eat acidic fruit, like oranges, be sure to rinse your mouth with water afterward). Snack on salty (healthy) foods, like canned tuna and nuts, to replenish your body’s sodium supply. If you need a caffeine boost, drink regular coffee or tea. These beverages are on the acidic side, but they are not as harmful for teeth as energy and sports drinks. Energy and sports drinks may taste good, but they can hurt your oral health! Avoiding them will protect your tooth enamel and preserve your precious smile. 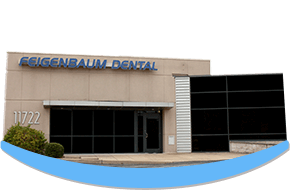 Dr. James Feigenbaum is an experienced general and family dentist in Creve Coeur. He works along with his daughter, Dr. Jenna Feigenbaum, to provide top-notch service to our community. If you have questions about how to choose tooth-friendly beverages, or if it is time for your next checkup, contact our office at 314-567-1777.